Cologne – We all have our own opinion about the first round of matches in the Bundesliga, but what did the coaches think about it? 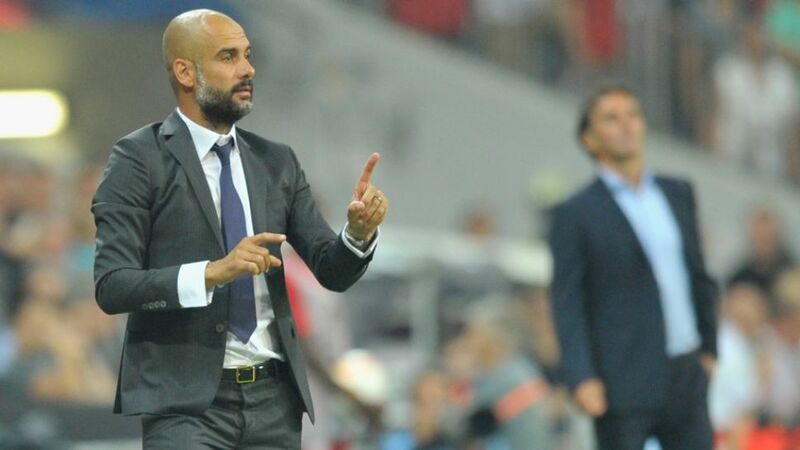 Pep Guardiola (Bayern): It was hard in the first half because Hamburg had six men in their defence. We did a better job in the second half. I'm happy with the debuts of Douglas Costa and Arturo Vidal. They bring quality and experience and they're going to help Bayern a lot. Bruno Labbadia (Hamburg): We played well tactically in the first half and then conceded a frustrating goal to make it 1-0. We needed to defend better there, and then we conceded another one very soon after that. We want to learn from last season, work hard and not let ourselves lose track of what we want to do. Thomas Tuchel (Dortmund): We certainly did not expect this – we were up against the strongest team in Germany in the second half of last season, after all. We know how hard it is to score against Gladbach. It was just a great game from us and I'm delighted. Lucien Favre (Gladbach): It was a fully deserved defeat, full stop. Dortmund were far better. The tempo was too high for us and I've got to be honest about that. We weren't able to control the game. Last year we had the best defence in the league in the second half of the season, but when you forget a few details, then it costs you dearly. Dieter Hecking (Wolfsburg): We'd analysed our opponents and hoped we had spotted areas where we could hurt them. That's why Kevin De Bruyne played most of his time out wide in the first half. It was an average game from him today, I think we've got to give him that once in a while – it wasn't for the lack of trying. Armin Veh (Eintracht Frankfurt): We had the chance to take the lead at the start, then we were a bit too passive when they scored. After that, we conceded again very quickly. Wolfsburg may have a lot of quality, but we didn't let them through much. Roger Schmidt (Leverkusen): It certainly wasn't easy for us after going behind early. After conceding, we lost our way a bit, but then we got a deserved equaliser just before the break. After half time, we went all out to win and created plenty of chances. We now go into our [UEFA Champions League] play-off [against Lazio] in Rome with plenty of confidence. Markus Gisdol: (Hoffenheim): On the one hand, it's quite surprising that we get to see a game like this already on the first day of the season. It was already a very high level and it's just a shame for us that we came away with nothing. It was a really good performance from us, particularly in the first half. But you just can't stop Leverkusen from getting chances, given the attack they've got.